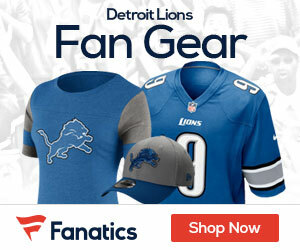 Thanksgiving Day seems to treat the Detroit Lions like redheaded stepchildren. Perhaps the Lions playing on the last Thursday of every November is a punishment for being perennially one of the worst teams in the NFL; I honestly don’t know. Thursday pitted the Green Bay Packers as they visited Ford Field to take on the Lions; and truth be told, this game wasn’t too much doifferent than previous games involving the Lions. Aaron Rodgers threw for 3 touchdowns, enabling Green Bay to embarrass Detroit 34-12. The Lions struck first on a 1-yard TD pass from Matthew Stafford, allowing Detroit to take their only lead of the game at 7-0 with 13:04 left in the opening period; the second quarter was all Green Bay as they scored three times – a 7-yard Rodgers-to-Donald Lee TD pass followed by a pair of Mason Crosby field goals (20 and 25 yards, respectively). The 13 unanswered points enhanced Green Bay’s advantage to 13-7, which they would take to their locker room at halftime. The Packers piled it on in the third quarter as Rodgers would throw a pair of TD passes six minutes apart – a 7-yarder to Donald Driver and a 21-yard strike to James Jones with 38 seconds left in the period, giving Green Bay a 27-7 lead. Detroit would score twice on a safety by linebacker Jordan Dizon and a 22-yard Jason Hanson FG, putting the Lions to within 27-12; Charles Woodson would seal the deal for Green Bay as he intercepted a Stafford pass and returned it 38 yards for a score with 3:47 left in the contest. Rodgers had an excellent outing as he went 28-of-39 for 348 yards and 3 TD’s while Stafford slumped compared to last week; he went 20-of-43 for 213 yards with a TD and 4 INT’s. Ryan Grant led the Packers rushing attack with 61 yards and catching 3 passes for 42 yards while the Lions were led by Kevin Smith with 43 yards and catching 4 passes for 46 yards. Driver led all Packers receivers with 7 receptions for 142 yards and a TD while Greg Jennings caught 4 for 53 yards; Dennis Northcutt led the Lions receivers with 2 receptions for 51 yards while tight end Casey FitzSimmons caught 5 for 38 yards. Green Bay (7-4) plays again on Monday, December 7, when they host the Baltimore Ravens while Detroit (2-9) makes the short trip to Cincinnati to take on the Bengals on Sunday, December 6.